As you know, every month I introduce a charity organisation on my blog in order to raise awareness for them. Since I have this fantastic platform, my blog, I try to use it to support good causes too. This month I’d like to introduce The Date Project. What is The Date Project about? The Date Project is a charity founded in 2015 by SKT Welfare volunteers. 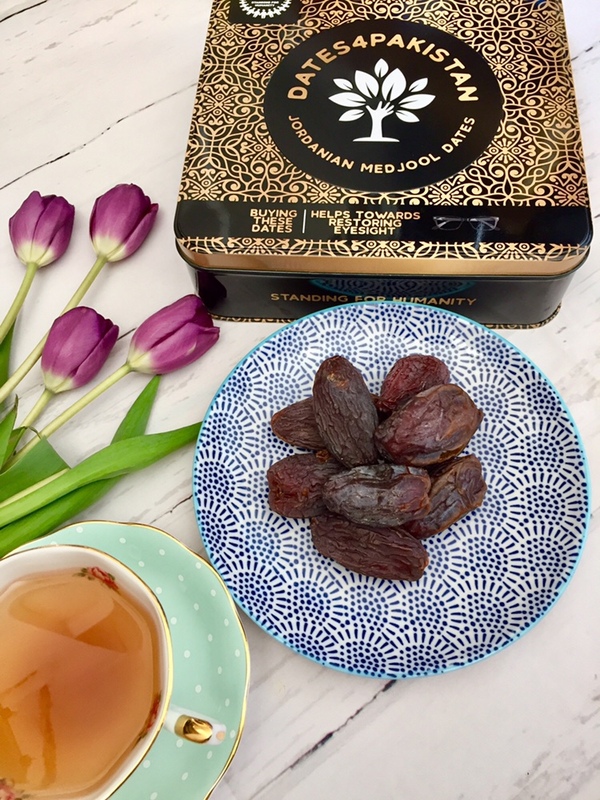 Back then, the aim was to raise money for Al-Huda Bakery in Syria by selling a box of the finest Medjool dates for £10 during Ramadan. Every box bought fifty loaves of bread for Syrian families. In 2015 100,000 loaves of bread were distributed. Then next year 3.5 million loaves of bread were produced as a result of this initiative. In 2017, a new box was introduced: bearing the Palestinian colours, the beautiful tin box was created to fund a new project – still with the help of the dates. 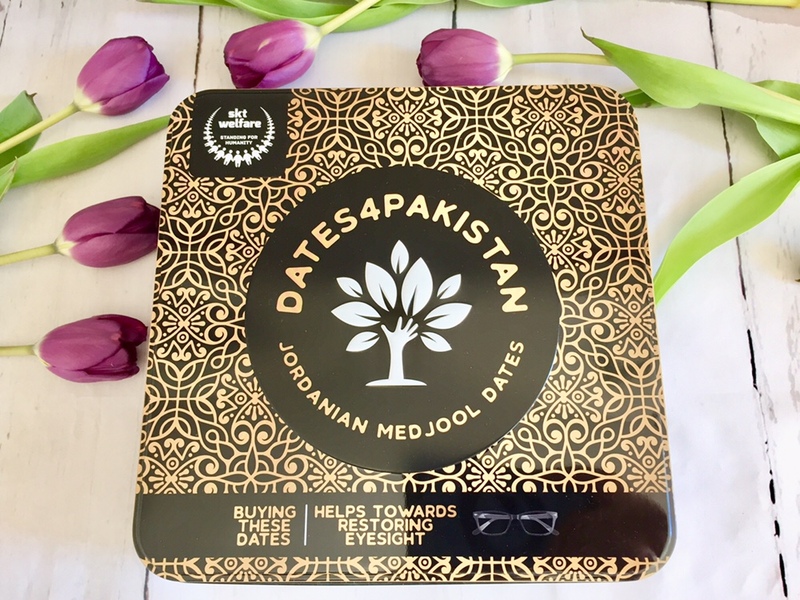 It was aimed at helping support SKT Welfare’s water desalination plant in Palestine, with each box of dates sold enabling a Palestinian family to receive 500 litres of water. So last year The Date Project helped to provide 3 million loaves of bread in Syria as well as 22.5 million litres of fresh drinking water in Palestine. SKT Welfare is dedicated to the delivery of socio-economic solutions regardless of race, political affiliation, gender or belief, with the aim to help relieve the suffering of the world’s poor and disenfranchised communities. The charity provides the homeless and refugees with the most basic needs: food, water and healthcare. They also help establishing sustainable projects. SKT Welfare’s has a 100% donation policy, which means that every penny of donation is used for serving those in need, not administrative nor overhead costs, which are either covered by direct donations themselves or by using Gift Aid. This unique policy sets SKT Welfare apart from most international NGO’s and is the guiding principle of the organisation. 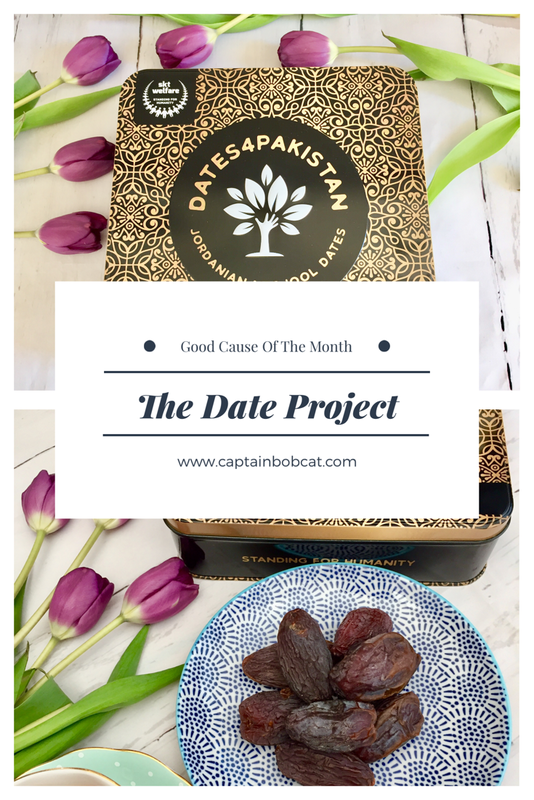 The Date Project has very generously sent me a box of dates – the beautiful Dates4Pakistan edition to enjoy – which we did, as Bobcat’s only fruit intake is currently restricted to dates and raisins. which means, he absolutely LOVES dates. So do we. 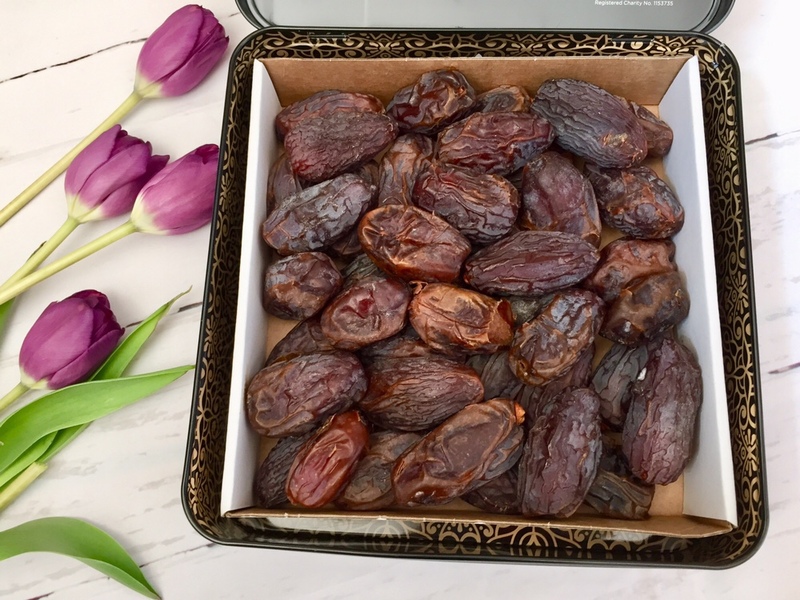 These dates have nothing to do with the ones you can buy in most supermarkets. They are beautiful, large dates and they are not too sticky and sugary either but soft and they taste like real fruit. 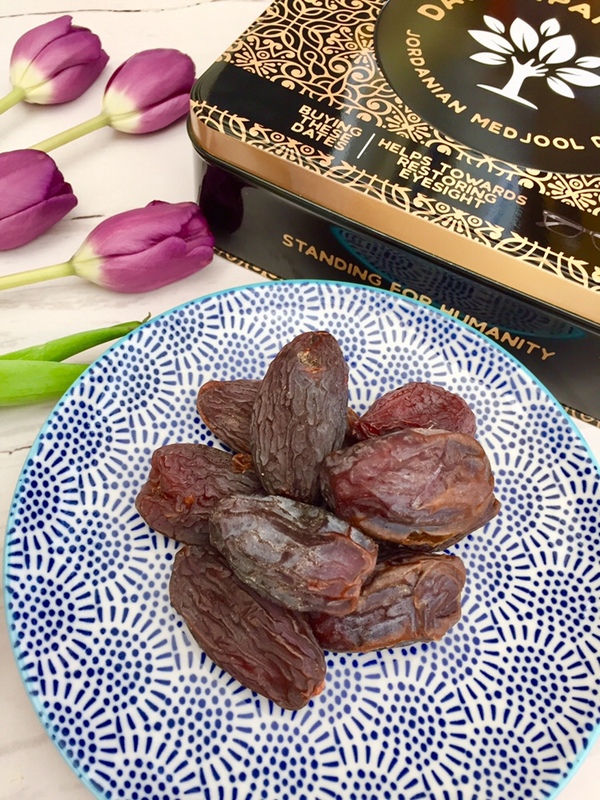 These gorgeous Medjool dates are ethically sourced from the Jordan Valley inside Jordan, hand-selected and packed by a community of Syrian refugees who are employed in the process. Please note, none of the dates have been selected from Occupied Palestine/Israel. This is because customers should have peace of mind regarding who they are supporting. Please help these project by purchasing one of the gift boxes online or check out the list of the stockists. I’m glad I managed to spread the word for them! I think it’s a fantastic project. It’s always good to know that there are lots of good people out there doing their best to help others. Its amazing to be involved! 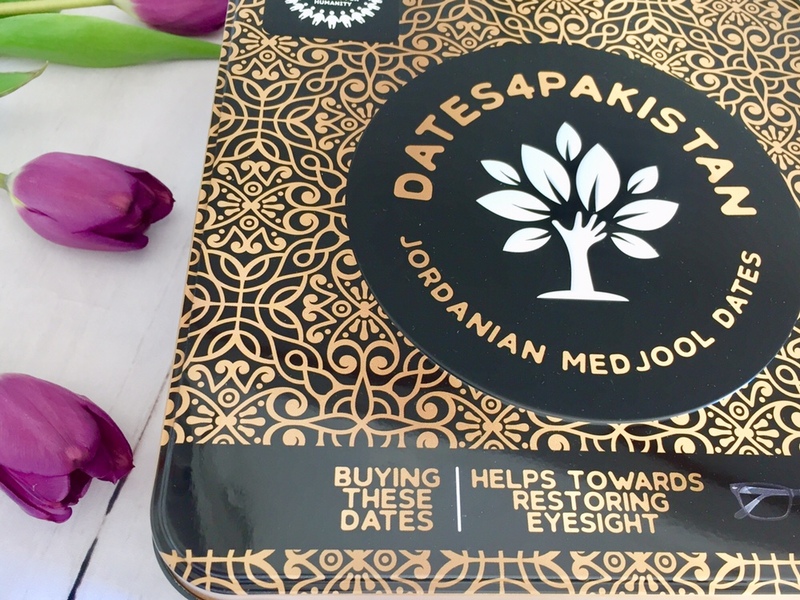 I love Medjool dates, I’ll definitely look at buying them from this company, what a great cause. I also applaud you for working with a charity every month, what a great thing to do. I love that you feature a charity of some sort on your blog once a month. Also, I’m seriously impressed with their 100% donation policy – that’s amazing! I was too, when I learnt about it! Not many charity can say that.